with a Stainless Steel or Real Copper Door Set. 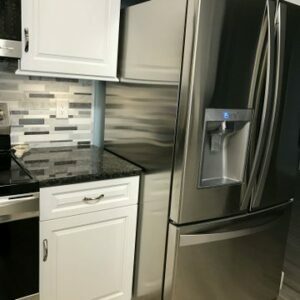 Complete the look of your Stainless Refrigerator by installing matching side panels. 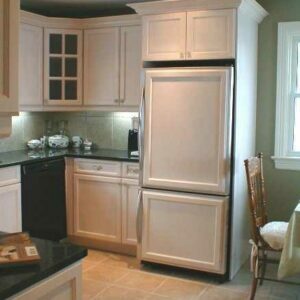 Would you like your appliances to “blend” in with your existing cabinetry? 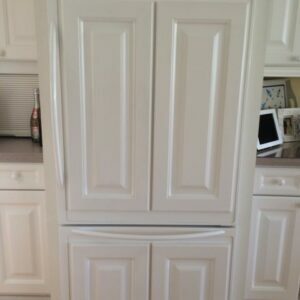 Then check out Frigo Wood Panels – custom made to match. Make your refrigerator “interactive” with Frigo’s Chalkboard Set Message Center. 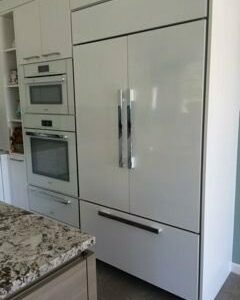 Endless options all customized to fit your refrigerator, dishwasher, compactor, icemaker and freezer. A Customer’s Refrigerator with Stainless Steel Side Panels. Available in half and full sizes. White Painted Metal Overlay Panels with Customer Supplied Handles. A Frigo Design recessed frame with contoured tubular handles, and custom painted wood panels.